As little league teams across the nation gear up for a run at the Little League World Series, doctors are warning that arm injuries are on the rise. Doctors, surgeons, and baseball experts across the country are expressing concern over a rapid rise in major arm injuries among children. Surgeries which have previously been considered rare procedures performed on a few professional players are now being performed on kids regularly. It's a concern Tony Ayala knows far too well. Ayala, a former president of Vista Little League in San Diego, has guided his own children through youth baseball. One son, 14-year-old David, shows a particular passion for the game. However, last summer, David began complaining about a sharp pain in his elbow. "At first, I thought it was just soreness, throwing too hard or a little too much," Ayala said. "But he kept throwing, so I thought, 'He'll be OK, he'll be OK. It's just soreness.' I should have paid more attention to it." What Ayala knows now is that his son had a tear in the ulnar collateral ligament (UCL) of his elbow. In fact, just two days before Ayala spoke with our San Diego affiliate 10News, David went under the knife, having perhaps the most famous medical procedure in sports: Tommy John surgery. "I was scared at first because I don't know if he'll ever be healthy again to play and he loves to play baseball, so it was hard to take that away," Ayala said. David's recovery will likely keep him from playing baseball for at least a full year. The surgery is named after the first Major League player to have the procedure done. Tommy John was a successful pitcher for the Los Angeles Dodgers in 1974 when he tore the UCL in his pitching arm. 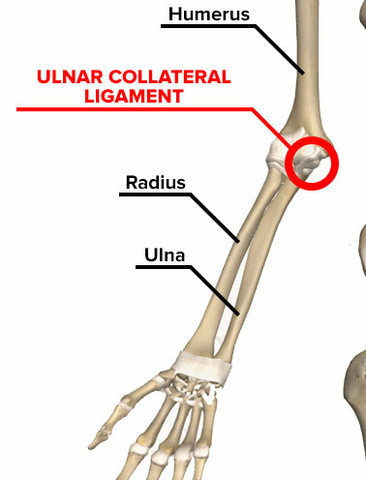 At the time, such an injury was considered career-ending, but John teamed up with surgeon Dr. Frank Jobe for an experimental surgery in which a tendon from John's right arm was removed and used to replace the torn ligament in his left arm. The surgery was a success and John returned to pitch for another decade. The procedure is now common in Major League Baseball, with roughly one-third of all pitchers needing the surgery at some point in their career. But far more shocking and dismaying to doctors is how often children are developing drastic pitching injuries. 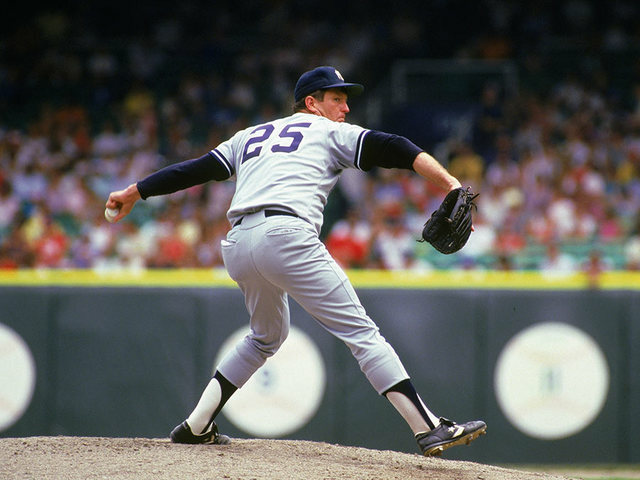 A recent study by the Rush University Medical Center, the team doctors for the Chicago White Sox, found that by far, the biggest age group receiving Tommy John surgeries in the U.S. is now 15-19, with 57 percent of all surgeries performed falling within that age group. The same study reported a 10 percent jump in the number of UCL tears between 2007 and 2011. The rising epidemic got the attention of a San Diego doctor for a very particular reason. The son of the famous pitcher, Dr. Tommy John, is a sports chiropractor who moved his practice to Del Mar in 2015. Before starting his practice, John tried following in his father's footsteps. He pitched professionally for several years in the minor leagues, and then retired and began teaching private baseball lessons to kids in Illinois. It was then that he began noticing a recurring problem. "I performed over 11,000 baseball lessons over 10 years," John explained. "The baseball lessons started evolving where it wasn't me coming in working with the skill side of baseball. The kids were coming in in pain. Well, I can't perform a skill lesson. I'm not keeping you in pain. We've got to figure something else out." John poured himself into studying how the human body works in relation to athletic movement. Whereas before, he had never asked his father about his famous surgery, John now wanted to know everything. He researched how the arm works and surveyed how children develop athletically in countries around the world. Armed with that information, John came to a conclusion that went against all baseball logic: "They're throwing too much in the sport of baseball." John believes most kids simply are not physically ready to be throwing as much as they are. Unfortunately, this conclusion comes at a time where kids are playing far more baseball than they ever have before. An entire industry has grown up in San Diego and other youth baseball hot spots built around convincing families to have their children play the game year-round. "They're throwing too much in the sport of baseball." Several parents told 10News they've even been pressured, or heard of other parents being pressured, to pull their kids out of other sports so they can focus exclusively on baseball. The Ayala family is a perfect example. "He (David) was playing all year, and he was playing on multiple teams," Tony Ayala said. "He was doing the Little League and, sometimes on occasion, two travel ball teams. So there were times where we might practice nine times in a five-day period, and that's not counting the games on weekends or tournaments." When Tony Ayala talks about travel ball, he means it literally. For many families in the baseball community, Little League, once a staple of youth sports, is no longer where the top youth baseball players grow their craft. Children as young as seven years old now play in baseball programs that combine practice and instruction with competition in tournaments and baseball showcases. While the youngest age groups might compete only around San Diego, by the time David Ayala was 14, he had competed across the country, as far as Georgia and New York. 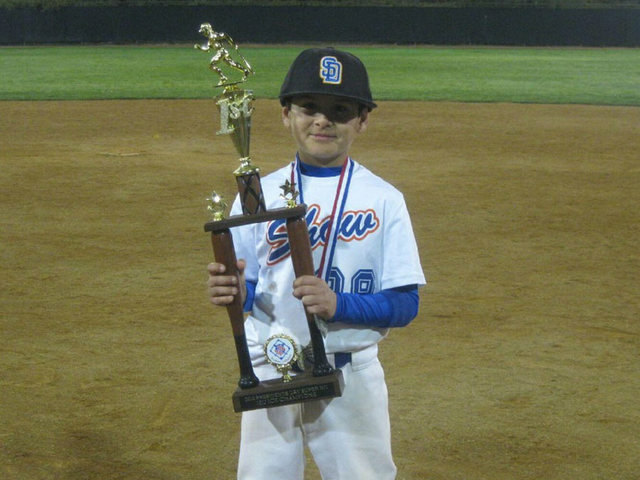 One of the programs in which Ayala participated is the San Diego Show , one of the most well-known and successful youth baseball programs in the country. Their list of alumni reads off like a list of San Diego baseball royalty: reigning National League Most Valuable Player Bryce Harper, former San Diego State University star/current Washington Nationals pitcher Stephen Strasburg and Brady Aiken, the Cathedral Catholic High School ace who was selected as the first overall pick in the 2014 Major League Baseball draft. Grooming that kind of talent has created a reputation. When parents want to raise San Diego's next homegrown star, they often turn to the San Diego Show. "We tell our parents: trust," explained Show founder Brian Cain. "You came here because of the baseball; trust what our staff does." Cain is a big believer in year-round baseball. In his 16 years running the program, he's come to the conclusion that year-round instruction from his coaches, combined with the high level of competition, are the best way to train young players for success when they reach high school and, ultimately, a chance at a college scholarship or in the MLB draft. 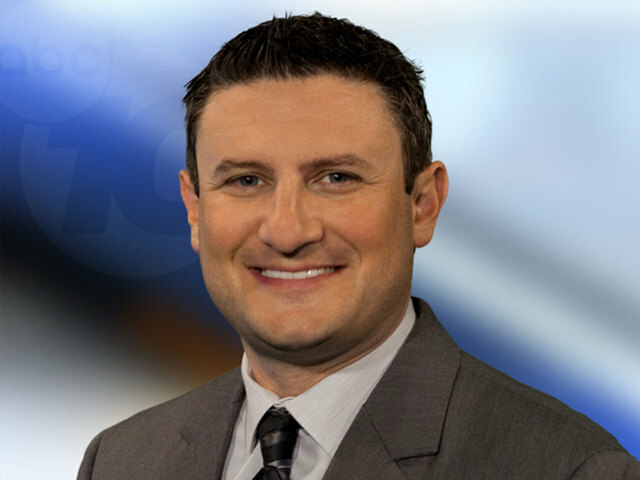 In an interview with 10News, Cain said his success comes down to his experience. He knows how to give players what he calls "the eye test," and he knows their abilities so well that he believes he can tell what is best for his players, including when they need a break from the game. While Dr. Tommy John believes kids throw too much, Cain thinks many don't throw enough. He believes kids need more development, in both physical training and diet, to be able to withstand the rigors of pitching. Throwing more, safely, is part of Cain's plan to give young players the foundation upon which arm endurance grows. This approach relies on having a strong coach who can tell how much each child is capable of throwing. However, many sports doctors believe it is simply too hard for a coach to read the child's risk correctly every time. Dr. James Andrews is perhaps the most well-known surgeon performing Tommy John surgeries today. He has grown concerned over the growing number of kids visiting his clinic in Alabama in pain. "You came here because of the baseball. Trust what our staff does." Andrews and fellow doctor Glenn Fleisig conducted a study that found children and teens who pitched regularly while fatigued were 36 times more likely to require major arm surgery. The other major risk factors all involved what they considered to be overuse -- this includes pitching competitively at least eight months out of the year (5 times more likely to need surgery), regularly throwing more than 80 pitches in a game (4 times more likely), and pitching more than 100 innings in a year (3 times more likely). Several parents were interviewed during the course of this story and all expressed concern about youth coaches putting the importance of winning above the importance of their players' health. "Oh, I believe it," Brian Cain said. "I've seen it. I think it's hard to understand." Ward Lannom was the coach who led the Sweetwater Valley All Stars to the Little League World Series last year. As he's guided his kids through baseball, he's grown himself -- from a dad who volunteered with kids teams, to one of the top youth coaches in the South Bay. He expressed dismay over how many coaches focus on winning regardless of the cost. "I can say this from experience," Lannom said. "The selfish part of the coach always looks for kids that can pitch -- the strong pitcher." Coaches, naturally, want their team to win, so there is always a temptation to throw star pitchers more often. Lannom has seen it with his own former players, even his players that San Diegans watched smile and win their way to Williamsport. "I know of two kids, as a matter of fact, within the last seven months, who have cracked their growth plate in their arm, which is essentially an overuse injury," Lannom said. 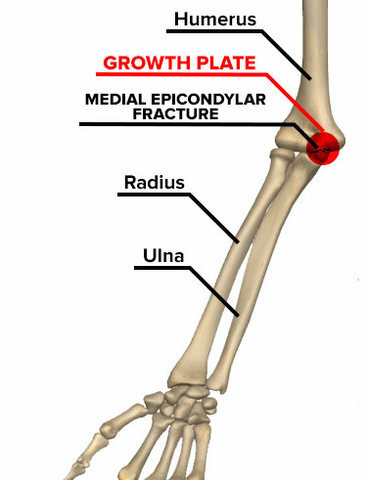 The growth plate is the part of the bone on either end that allows bones in children to grow. The frequency of growth plate fractures are another rising concern for surgeons, as it indicates children who are pitching while fatigued. Many health experts suggest putting limits on how much children are allowed to pitch. Little League has already instituted such a rule called a "pitch count." Depending on a child's age, they are limited as to how many pitches they are allowed to throw in a certain period of time without rest. Travel ball, however, does not have a pitch count mandate. Each team, each tournament and each showcase might have its own pitch limitation philosophy or none at all. While Cain recognizes the growing concern of overuse, he believes the people best qualified to determine each individual child's pitching capacity is their parent and their coach. He resists the idea of a pitch count. "I've never been big on a fixed pitch count just because every individual is different," Cain explained. "I would not be a proponent of that because I believe that we don't throw enough. It sounds funny to say that. I don't believe a lot of players throw enough." Other coaches, Cain suggested, simply don't show enough concern for health. In Major League Baseball, professional starting pitchers might throw between 90-110 pitches in a game, and then have four days of rest and practice before competing again. Cain said in travel ball tournaments, he frequently sees pitchers throw 100 pitches twice in a single weekend tournament. "The selfish part of the coach always looks for kids that can pitch -- the strong pitcher." Furthermore, because each travel ball tournament may have its own pitch limitation rules, coaches have found ways of gaming the system. Lannom recounted seeing a pitcher throw 39 pitches -- just one below the maximum allotted -- and that made him eligible to pitch again the next day. However, after he was removed as the pitcher, he was put back into the game as the team's catcher, who has to throw the ball back after each pitch, essentially putting almost equal stress on his arm. WHO'S AT FAULT: THE COACHES OR THE PARENTS? Dr. Tommy John is concerned that parents are being pressured into making bad decisions for their child's development. He said parents get into a mindset of competing with other parents, worried that if they pull their child out of year-round baseball, or even just give them a break to rest, they'll fall behind the other kids in the program. "It's under the assumption of a lot of people out there," John said, "that if my child plays year-round baseball, he will be a better athlete and be able to compete, and go against the neighbor. Because that's what it is. It's like, 'Your son is taking lessons and playing year-round? Well, we've got to get on it and our son has got to be playing.'" That fear appears to be well-founded. Several of the parents 10News interviewed said the reason they spend so much time and money keeping their kids in year-round baseball is to keep up with other families. The other reason? To please the coaches themselves. Many Little League coaches are now also involved with travel baseball programs or work as private instructors. Some families told 10News they feel constantly pressured. After all, if their child plays for a coach in Little League but does not sign up for extra instruction or travel ball, their child might find themselves sitting on the bench instead of playing in the game. This fear runs all the way up the youth baseball system through the high school level. High school coaches are often involved in travel ball as well. While John recommends waiting until high school to specialize as a baseball player, some parents said if their child waits that long, they won't even make the team. Despite the many issues facing the year-round baseball industry, coaches are not the only ones to blame. In fact, many coaches said they're the ones often being pressured to win at all costs -- by the parents. "Believe it or not, probably more often than anyone wants to know," Ward Lannom said. "You get the parent saying, 'Oh, they're alright. Just throw them in there, close the game out.' And when you look at it, 'Hey, he pitched four innings the day before, or five innings the day before,' it doesn't matter if we're still within the travel ball rules, so to speak. It's still not good on your arm." 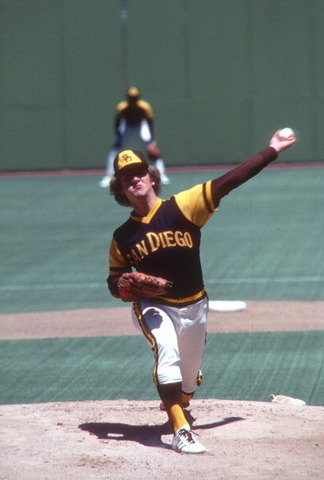 That attitude from parents saddens San Diego Padres legend Randy Jones. The former pitching star has been closely involved in the local youth baseball scene since his retirement in 1982. He even had a mound built in the backyard of his Escondido home so he could teach pitching lessons to kids. Jones said in his experience with parents asking him to teach their child, a disturbing number were more concerned about raising a star player than they were raising a happy child. "I would say that's a 50/50," Jones responded. "I really do. I think I might go right down the middle right now, in my opinion." Jones was known for his durability during the course of his sterling career, even leading the National League in innings pitched in 1976. But he knows the price to be paid for putting that repeated stress on the elbow, even for a professional athlete. Jones said during his career, he couldn't reach normally to get change from a cashier because his hand would not lay flat. He recommends each young player take regular time off away from baseball during the year, and that those breaks should last for a few months. "There's just way too much baseball. You can't play baseball year-round, especially if you're a pitcher. There's no way in the world you should be doing that," Jones said. That's a hard lesson which Tony Ayala wishes he'd learned earlier, before his son was hurt. "I just feel like we got caught up in the whole competition, you know? My kid's doing great and we didn't want to stop it and maybe take him two steps back," Ayala told 10News. Having gone through this horrible experience of seeing his son need surgery, Ayala is now urging parents to educate themselves about child development and the risks of playing too much baseball, and not to rely on coaches or the kids themselves to make big decisions. "There's just way too much baseball. You can't play baseball year-round, especially if you're a pitcher. There's no way in the world you should be doing that." "I always let my son make the decision. He wanted to play, he continued [and] continued, and I wish there were times I would have pulled them out," said Ayala. He added, "I take full responsibility. I'm not blaming anybody else. I should have looked into it more. I should have done more about it, but you get caught up. Your kid wants to play and you want to see him play." Now, while his son begins a long recovery with no guarantee he'll ever be able to play again, Ayala hopes other San Diego families will learn from his mistakes.